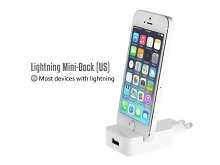 Lightning MiniDock allows you to charge your favorite iPhone or iPod. 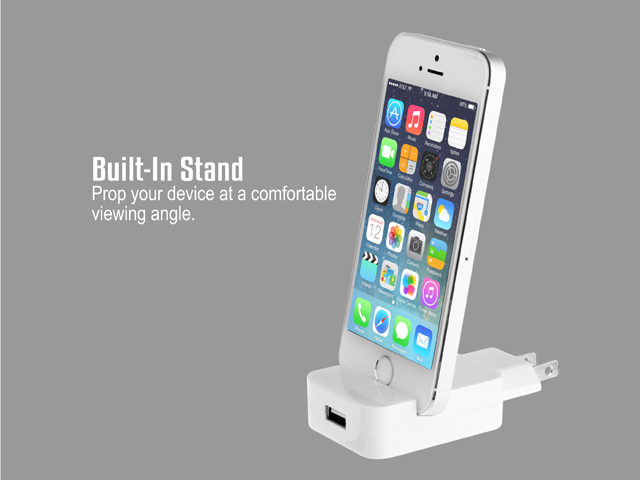 Your device sits upright in the MiniDock while it charges directly into the wall socket, allowing you to free up counter or tabletop space. 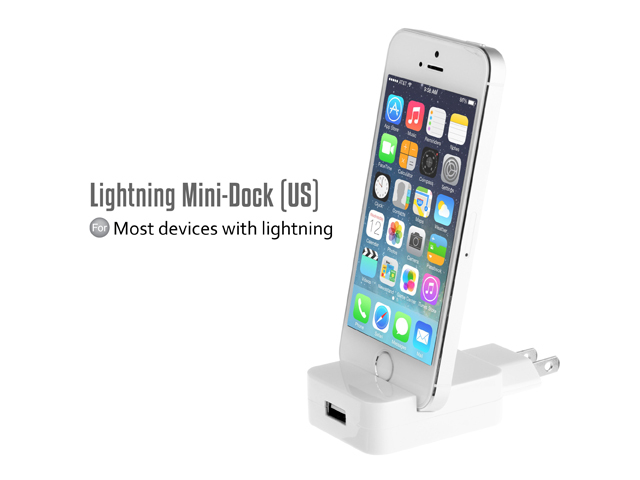 Small and simple, MiniDock enables users to make the most of their upright devices while they charge. 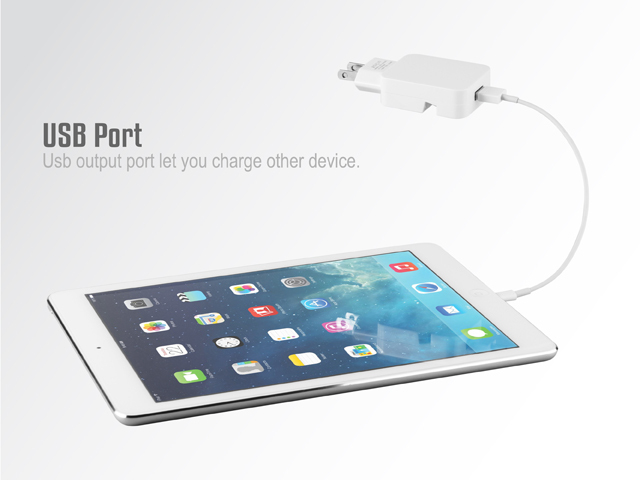 USB output port let you charge other USB devices. 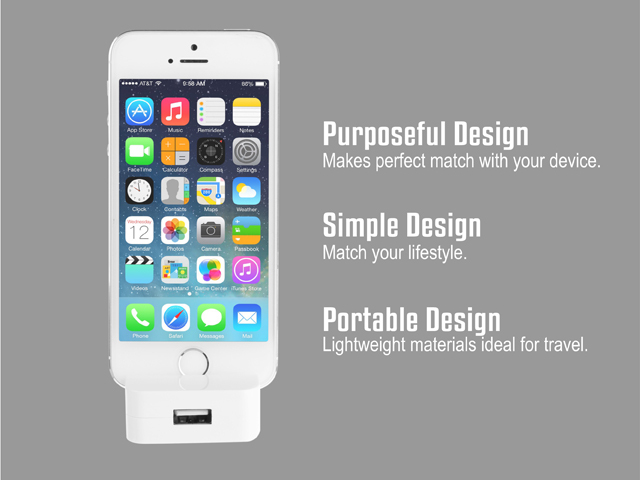 Portable size. 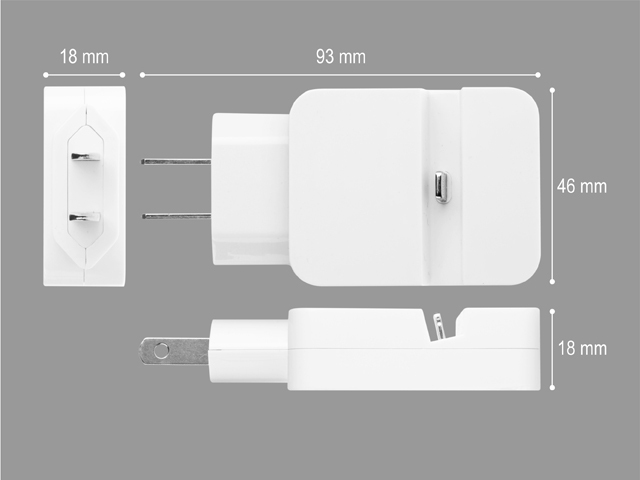 Great for travel.